AMES, Iowa — An Iowa State University alumnus who is a world-class cattle geneticist has established an endowed undergraduate scholarship for students in animal science with an interest in genetics. Robert Walton Sr., of DeForest, Wisconsin, is the retired CEO of American Breeder Service (ABS) and an agribusiness leader known for his contributions to genetics research in the dairy, beef and plant breeding industries. While at ABS, Walton developed a mathematical formula for evaluating bulls that revolutionized the animal genetics industry and was adopted by the U.S. Department of Agriculture. He earned a doctorate degree in animal science in 1961 at Iowa State. Walton also earned a bachelor’s and master’s degrees from Oklahoma State University, respectively, in dairy science and animal breeding, genetics. Walton made gifts in the memory of family and friends, including his late wife, Janice Graning Walton, who he met at Iowa State; his brother Chuck Walton, who had a successful career in professional football after being a member of the Iowa State football team in the early 1960’s; fellow graduate student and internationally honored educator, Tom Sutherland; and graduate professor Jay Lush and his wife, Adaline. Jay Lush was an animal science professor who is considered the father of modern animal breeding. “The ISU experience under Dr. Lush played a major role in my life and career. He and his wife were the best teachers I ever had,” he said. 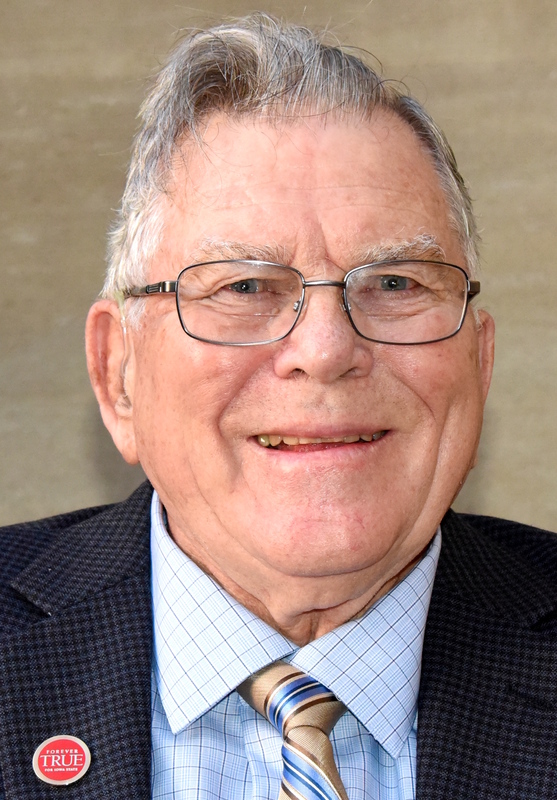 Known as a visionary, progressive and selfless leader, Walton served 38 years on the board of the World Dairy Expo and holds the honor of the longest serving director. Walton also has served on the boards of the National Association of Animal Breeders, Wisconsin Cattlemen’s Association, Wisconsin 4-H Foundation, Wisconsin Rural Opportunity Foundation and the Greater Madison Chamber of Commerce. He recently was presented the Henry Wallace Award, from the Iowa State College of Agriculture and Life Sciences, which honors an alumnus who has achieved notable professional achievements nationally or internationally and brought distinction to themselves, the college and the university through significant contributions.